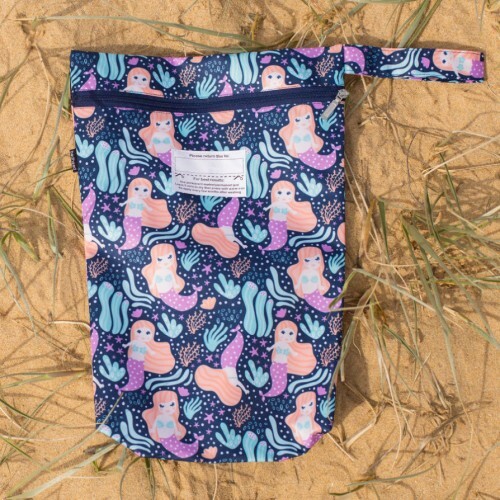 The Bedhead Wet Bag is perfect for getting damp items home safely from the beach or pool - without saturating everything else! Simply wring out wet cossies, pop them in Wet Bag and close the zip. Available in our range of coordinating Swim hat prints - your little one will be the coolest kid this Summer! The Bedhead Wet Bag is generous is size - perfect for a pair of cossies, a rash vest and your Bedhead hat of course!